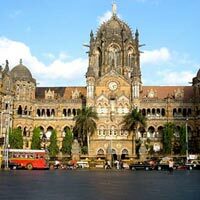 We make sure that you will enjoy every bit of the tour and the itinerary has been designed accordingly. Our amazing tour packages for Maharashtra Tour are offered as per the budget of the clients ensuring their complete satisfaction. Our tour includes some of the most happening places and also the famous tourist attractions of Maharashtra such as Ajanta Caves, Bandra-Worli Sea Link, Ellora Caves, Marine Drive, Mahalaxmi Temple, Gateway of India, Imagica Water Park and various others.